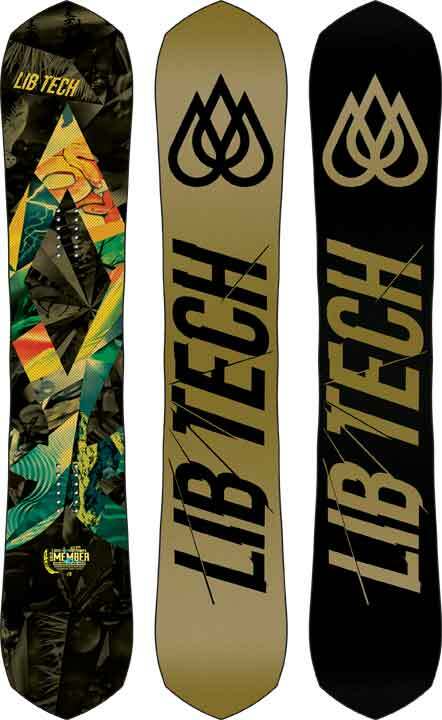 The Lib Tech T.Rice Gold Member is a directional Mid/Wide Aggressive All Mountain ride that works if you like the ride of the T.Rice Twin’s but want to set it back on powder days. Travis Rice’s boards have tweaked hybrid rocker in a way that makes it feel aggressive and this, as well as the Climax, are probably one of the least easy hybrid rocker board we have tried. It’s all about going straight, strong edge hold and pretty strong carving for rocker between the feet. Conditions: decent to sometimes firm snow. We try to get as many images of the Lib Tech Travis Rice Gold Member, but forgive us if they're not all there. Can u tell I am a Lib tech fan boy, haha. Just like the xc2 of the TRS, this board is an excellent Carver. The added stiffness to the board and a small setback makes this board carve like a dream. I can Euro carve effortlessly, whereas it takes a little more work on a T Rice board (C2 camber). This board is stiffer, but a more lively, snappier stiff. I can still pop 360 or cab 360 put of a carve, but it takes more work than a normal T Rice HP. The reduced weight from the Firepower is slightly noticeable. It is easier to butter around and swing the board I would say more for its smaller contact length vs the fire power. However, while spinning off side hits and jumps, it is super easy too get the board around (Lib tech HP boards were always pretty easy to spin however). This is more of a fast charging board than anything else. I got some major speed and carves in following my friend on a capita BSOD. He was riding a 165 and I rode this 158 (2015 model) for most of the season 2015-2016. This did amazing in powder with its mild setback. It didn't have amazing flloat due to my weight for the board, but it handled amazing in the trees for turning in and out. This was hands down my most durable board I have taken in the trees. Hit some narly stuff while in Japan and actually had almost no damage on the base nore tips. Used to take a skate banana or T Rice in the trees and those would chip so easy. Other than the boards I own, I have tried other boards from other companies. So far the goldmember is one of my favorites for aggressive all mountain freestyle. 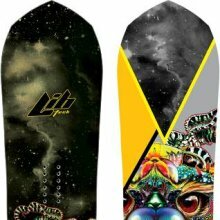 getting a C3 board like the dark knife is getting more towards freeride.